Deluxe Interiors is a local London small business, specialising in interior projects in prestigious locations: Fitzrovia, Marylebone, Kensington, Soho, Richmond, Notting Hill. 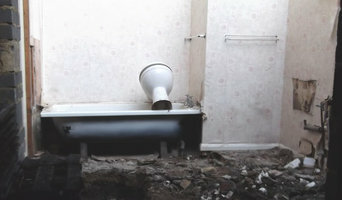 Our reliable team can refurbish your bathroom, install a new kitchen, or completely renovate any room in your property. We focus on perfect project management and we pride ourselves on offering a service which is professional, efficient and tidy with keen eye for attention to detail. THOMAS SLIWA Managing Director Tomasz's experience, local expertise and keen eye for detail enabled him to build a web of clients while gaining an excellent reputation. He's been working with interior designers and architects for over 10 years and he understands clients' need to create beautiful homes. Beyond his passion for his job, he loves travelling, reading books. Robin Services began in 2008 when I realised, after 10 years as a builder, that I had too much work for one person. When I started the company, I wanted to offer my customers a wide range of property maintenance and building services in West London, Middlesex, and Berkshire, but I also wanted to give my employees a workplace with a family atmosphere. We have now grown to serve not only residential customers, but commercial customers as well. Robin Services has a dedicated team of professional builders with many years of experience. We offer highly skilled building work such as bathroom and kitchen renovations, house extensions, and additions, including the extensive plumbing and electrical work. We are also happy to work on patios, driveways, and gardens. As Robin Services grows, we are committed to maintaining the personal and professional service that our customers value. I am personally involved in every project and, when customers call, I often answer the phone myself. We always take the time before each project to understand our customers' needs and afterwards, to make sure our customers are satisfied. To us, each customer is a relationship, not just an isolated job. 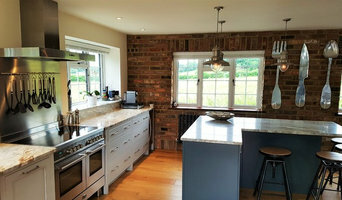 SPECIALIST IN HIGH-END QUALITY BUILDING AND REFURBISHMENT OF RESIDENTIAL PROPERTIES Covering the South East we carry out projects from new build properties, conversions, renovations, extensions to small works and bespoke joinery. WCS is a family-run construction company who has established an enviable reputation as a reliable building contractor, with a high emphasis of maintaining traditional skills and values. We believe that clear channels of communication between client and contractor are vital to a project’s success and client satisfaction. We manage the entire project in-house, in doing so we can ensure a result that meets our exceptionally high standards. Site meetings are held weekly, and every job has a works programme detailing the timeline and critical path to the successful completion of your project. We understand that for many of our clients, the works we undertake are of utmost value. Our commitment to clients is reinforced by our integrity and the reliability of our staff. We believe that our work as a contractor has widened our experience through viewing projects from a client's point of view in terms of function, maintenance and value for money. We believe we can bring considerable expertise to the project and look forward to discussing your ideas and wishes. Commitment from start to finish : Our Service combines personalised project management, with close attention to detail, with high quality craftsmanship and service both from our long serving staff and through a small group of trusted skilled subcontractors. WCS has a reputation for good design interoperated in quality construction with close attention to detail and material selection. We understand that it can be difficult to invite builders into your home, so we take pride to ensure minimum disruption and mess wherever possible. Why not build you own house with the help of Reading, Berkshire builders? Builders in Reading, Berkshire can be employed to handle a wide range of projects; from knocking down a partition wall to building a kitchen extension, but you’ll certainly need the help of a trusted house builder if you plan to build your own home from the ground up. But why would you take on such a task? This may seem like a daunting task, and admittedly, it’s not for the faint-hearted. But with extensive research, trusted builders in Reading, Berkshire, detailed budgeting and good judgement you might soon be sitting in the house of your dreams, at a snip of the cost. Your architect’s plans will serve as clear instructions to your builder and, if the former has done their job well, you should also avoid any nasty surprises with the local council. Finding the right Reading, Berkshire builder need not be a long or difficult process. Personal recommendations aside, a good place to start is the Reading, Berkshire Home Builders category of the Find a Pro section on Houzz, where you can see their previous work and ask questions. Compile a shortlist of at least three builders in Reading, Berkshire that can handle the full scope of works, either by themselves or through sub-contracting. It is often a good idea to play devil’s advocate and ask what the builder will not be responsible for, such as structural engineer consultations. Be weary of unusually cheap quotes. Ask for references and stories about how the builder has met different challenges along the way. If you can, you could try to see builders’ previous projects in person and talk to previous clients, or if not, read reviews, recommendations and ratings, and look at detailed photos of projects. How long have you been operating as builders in Reading, Berkshire? Find builders on Houzz. Narrow your search in the Professionals section of the website to builders in Reading, Berkshire. 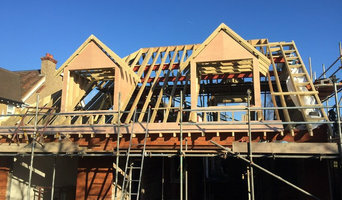 You could also look through Reading, Berkshire photos to find a project you like, then contact the Reading, Berkshire builders that created it.